Shopping does not mean always running from a shop to another to find the best price for the best fashion item, but it can also mean a very interesting sociological, economical and even geopolitical experience. At least, for those who have enough time and less money to spend observing people and trying to make approximate conclusions about where the world is going to. 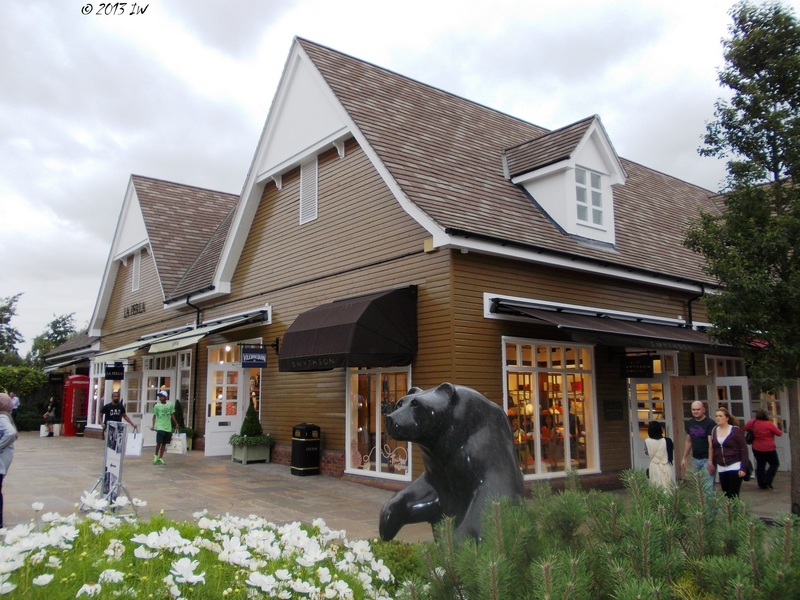 It is how I decided to spend a couple of hours in the outlet shopping paradise of Bicester Village. (Pronounced [ˈbɪstər] as I was corrected several time). The first time when I've hear about the village was early this year, from a glossy leaflet I took at the ITB Berlin. Since then and after, I ignored the old history of the city and the cultural part of this locality situated close to Oxfordshire, and focused instead on the commercial mantra of the place. And I guarantee I was not the only one. 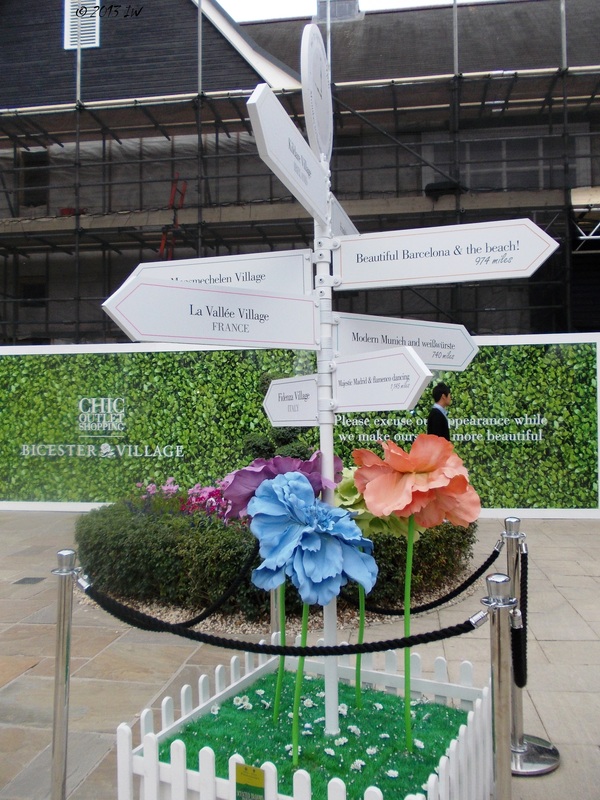 Bicester is a destination officially promoted through special tickets available in train stations, that also cover the bus transportation from the train to the Information point. There the driving guests can get the full package of information about the Valet Parking services. We arrived after a very exhausting trip of more than 5 hours, that took us from the green paradise of Wales, changing a couple of trains while carrying some big luggage. The bad news was that there are no lockers in Bicester, and the only one solution was to continue the journey from an outlet shop to the other while keeping the big suitcases with us. Honestly, this is not how I was expecting to enter the village, but I kept calm, because life, my life to be more specific, is always full of surprises. The last time I've been in such a place was years ago, in New York and together with my best friend we had a great time together, bargaining for clothes and getting lost in the number of bags we purchased. Note to self, always take a good girl friend with you when you want to do shopping. Now, I was carrying a big luggage, was not necessarily in the mood for shopping - I still have clothes bought then at New York that I hardly wear more than once the year - but with a travel blog where to write about what I am doing and where I go. The Village is open 7 days the week: from Monday to Saturday from 9am to 9pm, and on Sundays from 10am to 7pm. We arrived there on a Thursday afternoon and the place looked moderately busy. Meaning, for instance, that the long lines in the front of big stores, such as Gucci, lasted 10-15 minutes, instead of maybe one hour during the busy days. Except the lack of lockers - seriously, who is arriving in such a place with big suitcases and without a car? - I did not find too many inconveniences: a lot of coffees and restaurants, the most smiling personnel I met in 3 years, banks and playgrounds, porcelain and jewellery shops. Why people would prefer shopping from such a place instead of going to Harrods, for instance, from where you can walk a lot in the center of London showing openly to the world what a successful character you are? Because of the significant discounts that are applied to most of the products, some going up to 70%. For instance, buying a Furla quality bag for less than 100 € is a good investment of your hard earned money in a good image. Especially in cities like New York or London, where the local taxes are outrageous and instantly reflected in the price of the products, using such opportunities is a smart move. You don't need to worry that you should leave any expectations of entering such a place without 1,000 € in the wallet. A modest investment will be enough to make you happy. This is how moderate shopping can work. 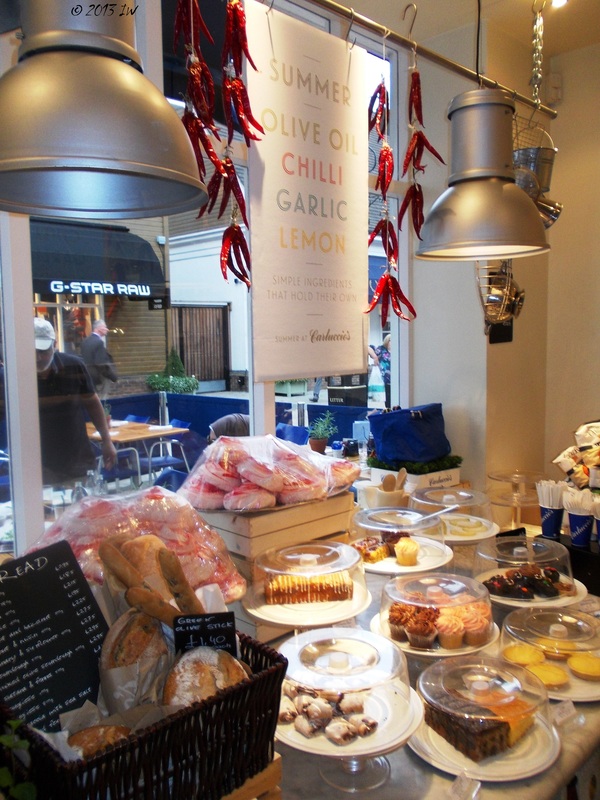 At least for us, poor Europeans coping with various shock waves of the economic crisis. On the other ends of the world, the things seem to go better, much better. Resting on a bench in a little square I took some mental notes of the new sources of global wealth. And, surprisingly it is not Russia, or the Middle East or not even Japan. Two hours before the closing time, I was still looking around trying to figure out if I really need something fancy for my wardrobe. I checked the latest design shoes by Jimmy Choo, admired the latest collection of Diane von Fürstenberg and browsed the bags from Furla. But not the analytical skills are desirable for a successful shopping trip. I was missing the enthusiasm and exuberance of my friend. When she says 'I love it! ', 'Look how beautiful is this!' or more 'I can't leave without this bag (even though I have another 3 looking the same way at home)', I don't care about tomorrow and buy. I should plan a thematic trip with her soon, in London or in Ingolstadt (near Munich) or even better, at Maasmechelen (near the Belgian city of fashion, Antwerp) the two of us, we can fully enjoy shopping.